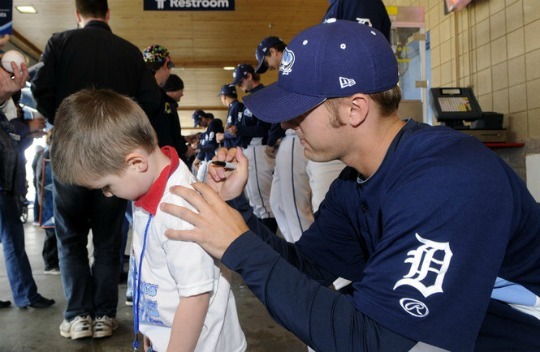 Joining the above mentioned on the 2012 ‘Caps roster, are seven of the Tigers ten 2011 draft picks. These are some decent prospects consisting of first baseman Aaron Westlake, shortstop Brandon Loy, and third baseman Jason King. The Whitecaps have some quality players returning from last season, too, who made a late season run and barely missed out on the playoffs. 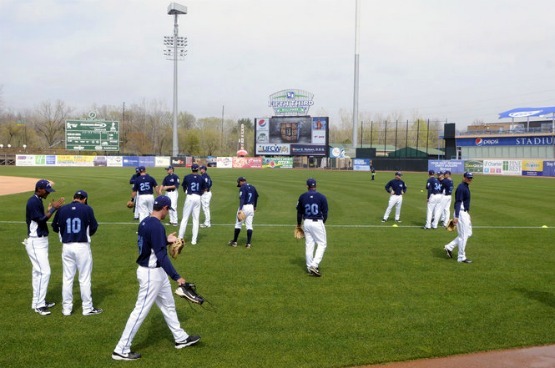 Outfielder Steven Moya and lefty pitcher Kyle Ryan are two of those returning players, and give the Whitecaps a more experienced ballclub this season. 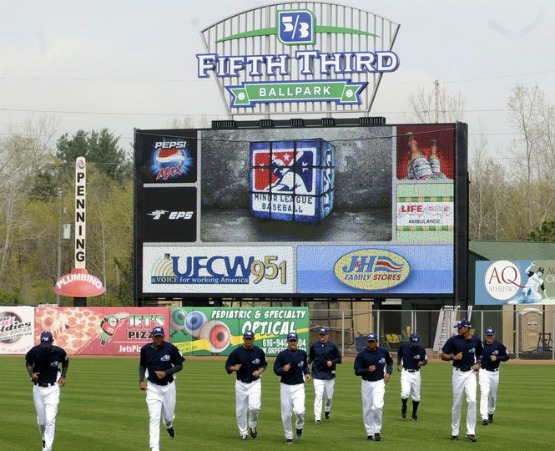 While the 2011 Opening Day roster consisted of six teenagers and twelve players under 20, this year club has just one teenager and five 20-yr-olds. The lone youngster is Danry Vasquez, one of the top 30 Detroit prospect despite having only one professional season under his belt. The Whitecaps have been a pretty busy crew, though, despite only being in town a few days. 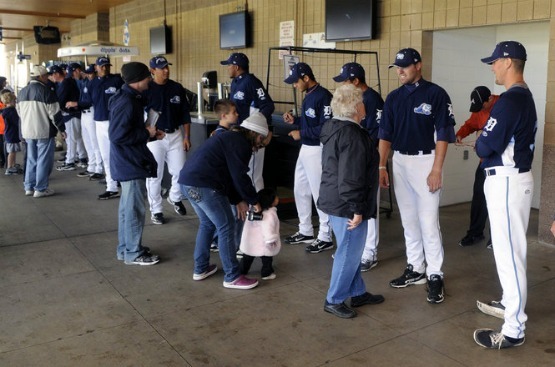 Yesterday they held and open practice for the public, and took time to meet the fans and sign autographs. 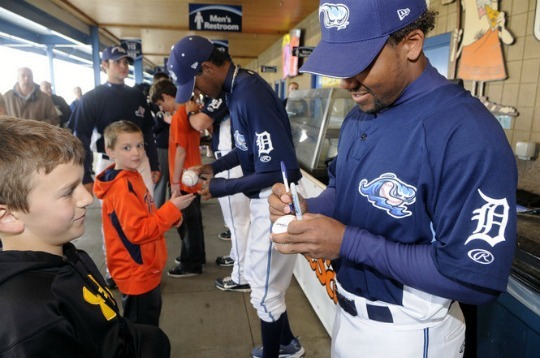 Today, a handful of players like Westlake, Loy, and Moya, participated in the Tigers vs. Mud Hens game in Toledo. 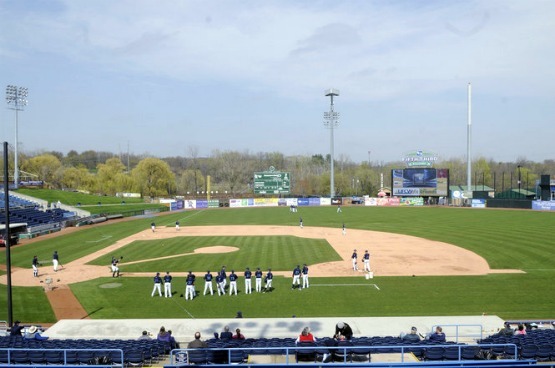 They open the season tomarrow in Dayton, Ohio, against the Dragons. It was a nice surprise to see these guys in the lineup on TV, and a chance to see them in action before our game next week. I’m hoping that this is an exciting year in West Michigan!